Tuned to the opening intervals of the Andante movement from Mozart's Piano Concerto #21 in C Major. 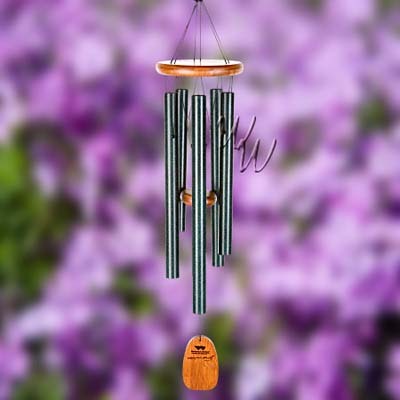 At 25 inches from ring to the windcatcher, this is our mid-sized Chime of Mozart, created in honor of the 250th anniversary of Mozart's birth. This chime sounds great and looks even better. An excellent choice for the classic music lover.